I've always enjoyed a well made Rosé and I've loved a few of them. So it's been especially gratifying to see how many sommeliers and wine buyers across the country also favor these wines. Recently, I was at Maialino in the Gramercy Park Hotel in New York City, where wine director Jeff Kellogg had put together a marvelous selection of rosés, both still and sparkling. I sampled a glass of Ettore Germano "Rosanna", a sparkling Nebbiolo from Piemonte that is one of the best of its type (I have written about this wine in my upcoming book on Piemonte); I went back the next evening and with a few friends, thoroughly enjoyed the Chartogne-Taillet non-vintage Rosé from Champagne - just sublime! 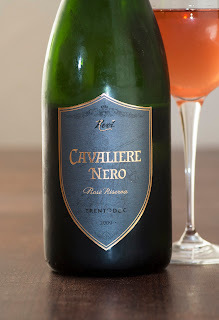 Ferrari non-vintage (Trento DOC) - There are some excellent metodo classico sparkling wines made in Trentino in northeastern Italy; the best examples from this cool climate area are labeled as Trento DOC. The firm of Ferrari, established in 1902 by Giulio Ferrari, and managed by the Lunelli family since the 1950s, is the best known Trento DOC producer; it is also arguably the finest. Their classic rose is a blend of 60% Pinot Nero and 40% Chardonnay; it is aged slightly longer than 24 months on the lees. Medium-bodied with a rich mid-palate, very good acidity and impressive persistence, this is very flavorful, and quite elegant, and will drink well for the next 3-5 years. Another impressive Trento DOC rosé is from the firm of Revi; this 100% Pinot Nero is a new cuvée from this producer; it is a vintage-dated offering (millesimato) from 2009. This offers bright strawberry and plum aromas and flavors, along with good acidity and is round and quite elegant. It is a touch lighter in body than the Ferrari, but no less flavorful; this is delicious now and will drink well for another 3-5 years. Moving to Champagne, I've tasted so many great examples over the past few years. Two recent examples that impressed me are the previously mentioned Chartogne-Taillet and the Bereche "Campana Remensis", both non-vintage and made according to the more common assemblage method for rosé Champagne, where a small amount of still red wine is added into the blend. The Chartogne-Taillet is effusively fruity, with tantalizing flavors of strawberry and raspberry with very good acidity and an ultra-clean, very long finish. The Bereche offering is not as bright as the Chartogne-Taillet, but the complexity and finesse of this wine, along with its distinct earthiness, combine to make it a winner. Enjoy over the next 3-5 years. One other rosé Champagne of note that caught my attention lately is from Christophe Mignon, whose firm is located in Festigny in the Vallée de la Marne, west of Epernay. Mignon specializes in Pinot Meunier and it's neat to see that he actually produces two separate rosés from this variety. 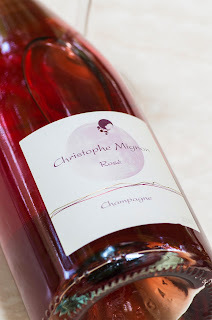 The one I tasted was produced according to the assemblage method; Mignon also makes a saignée rosé in which the color of the wine is derived from the skins of the Pinot Meunier grapes. Medium-bodied with aromas of ripe strawberry and orange poppies, this is a sumptuous rosé Champagne! Hacienda di Arinzano Rosé 2015 - From northern Spain, this is 100% Tempranillo, the principal variety of Rioja. Displaying a beautiful deep cherry color, with watermelon and pear aromas, this is clean, elegant, tasty and ideal for chicken or simple summer foods. Chateau Les Crostes Rosé 2015 - Here is a textbook rosé from Provence, which to me is like saying that this is a classic rosé with its blush color, delicate nature and its pleasingly dry finish. What a lovely quaffer to enjoy during the hot weather or with lighter pastas or salads! Masi "Rosa di Masi" 2015 - From one of Italy's most famous producers, this is 100% Refosco, which gives this rosé a distinctive character. With beautiful pink cherry fruit and a dry finish, this is medium-bodied and quite tasty. Lovely on its own or with lighter red meats. Domaine Thomas & Fils Sancerre Rosé "Terres Blanches" 2015 - Sancerre, from eastern Loire, is one of the world's most famous white wines. 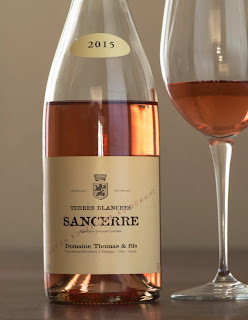 Few realize that many producers also release a Sancerre Rosé, made entirely from Pinot Noir. Displaying a pretty blush strawberry color and pear, plum and dried cherry aromas, this has excellent ripeness, very good acidity and impressive persistence. Nicely balanced, this is a beautifully made rosé to enjoy over the next year or two. This would be ideal paired with sautéed shrimp. Domaine Lafond Tavel 2015 - Here is a first-rate example of one of the world's most famous and classic rosés. A blend of 60% Grenache, 20% Cinsault and 20% Syrah, this has a beautiful deep pink color and intense aromas of bing cherry and wild strawberry. Medium-full with rich complexity and a touch of meatiness (this will stand up to roast meats), this is an outstanding rosé to be enjoyed over the next 2-3 years. Schloss Gobelsburg "Cistercien" Rosé 2015 - From one of Austria's finest producers, this is made with a predominance of Zweigelt with a smaller percentage of Saint Laurent. Offering dried strawberry and dried orange peel perfumes and flavors, this has a rich mid-palate, backed by a delicate finish. Quite dry, with very good acidity, this is something special! Enjoy over the next 2-3 years - perhaps longer.